Behind GlassesLED is a team of professionals with more than 30 years of experience providing outstanding eye care and exceptional corrective lenses to the eyewear community. Our dedicated team of professional Optometrists and Optical experts work around the clock on form, fit, and style to ensure that your lenses meet the needs of your lifestyle, and the demands of the moment. Layered Elliptical Design is at the heart of GlassesLED's proprietary lens technology. By looking at each feature as a different layer in the lens, both the issue of optics and aesthetics can be handled independently. This provides for a better fit for your prescription, lens, and frame. In the end, our lenses have all of the computational substance to provide for great optics, coupled with a flare only harbored by years of experience in the lens-crafting industry. GlassesLED also streamlines the ordering process by including all the bells and whistles to maximize optical performance in every order, meaning that there is no such thing as a basic lens with LED technology. 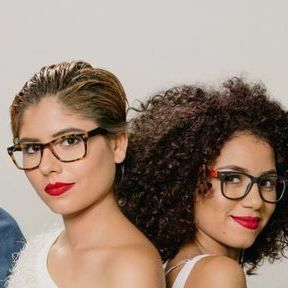 Our frames are carefully selected by our dedicated team of professional opticians specializing in analysis of three key aspects: material, finish and style, in personally selecting our products for quality assurance, ensuring that each product is tailored to provide a unique balance of design and durability. Our analysts are always in search of the latest trends in shape, color, and texture, to guarantee that we carry the perfect frame and style for every person, place, and occasion. We're sure you're going to love the way you look with our lenses, so all of our lenses, frames, and sunglasses come with a money back guarantee. If for whatever reason you aren't satisfied with your product, return them within 30 days, and we'll refund your money, no questions asked. Your satisfaction is important to us, so we ask that you let our team of dedicated opticians help you resolve any issues with fit, style, and finish. We are a premium lens manufacturer and retailer with more than 30 years in the optics industry. Our founder, Dr. Mario Carcamo, oversees all lens crafting operations, from the laboratory, to fit and design, alongside his son Mario, an optical physicist and software engineer, who in conjunction with his father, has innovated a revolutionary new process in lens design and manufacture. GlassesLED is a branch off Vision Unlimited operating out of South Florida.